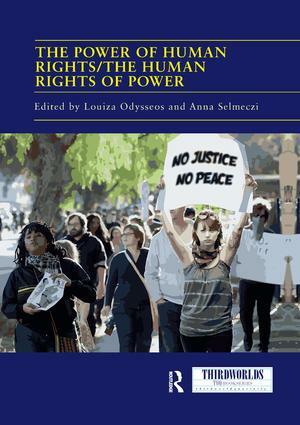 The contributions to this volume eschew the long-held approach of either dismissing human rights as politically compromised or glorifying them as a priori progressive in enabling resistance. Drawing on plural social theoretic and philosophical literatures – and a multiplicity of empirical domains – they illuminate the multi-layered and intricate relationship of human rights and power. They highlight human rights’ incitement of new subjects and modes of political action, marked by an often unnoticed duality and indeterminacy. Epistemologically distancing themselves from purely deductive, theory-driven approaches, the contributors explore these linkages through historically specific rights struggles. This, in turn, substantiates the commitment to avoid reifying the ‘Third World’ as merely the terrain of ‘fieldwork’, proposing it, instead, as a legitimate and necessary site of theorising. This book was originally published as a special issue of Third World Quarterly.